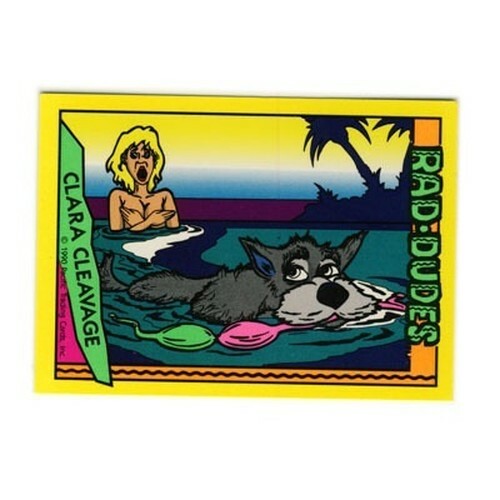 ■ 10 Radical RAD DUDES Trading Cards (NO GUM) In a radical wax packet. 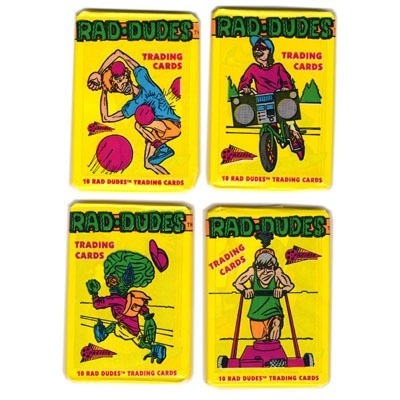 ■ These cards are TOTALLY RAD. 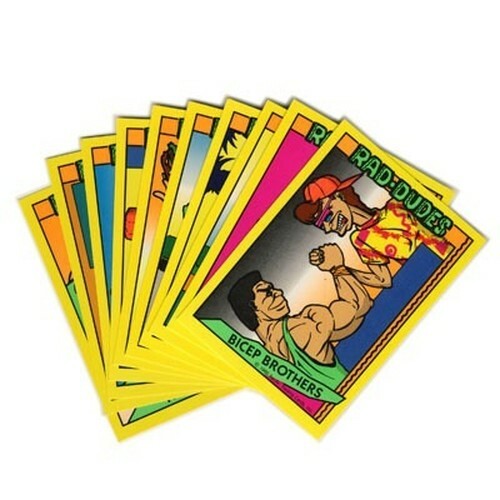 Bright neon colours, gloss cards with bodacious 80s/90s art. Following the much used Garbage Pail Kids idea of alliteratively named characters, this time on the theme of Rad Dudes eg. 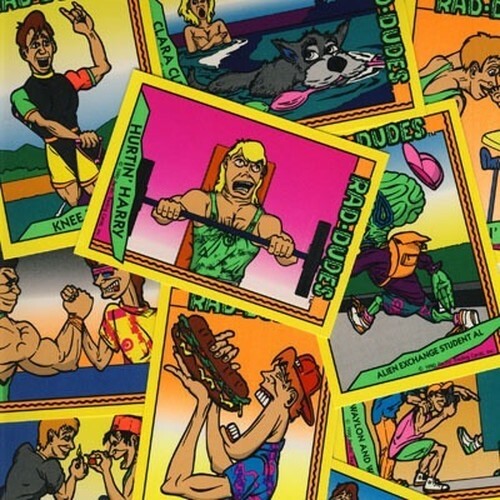 "Hurtin' Harry", "Knee Board Nick" and then a few randomly named dudes like "Gnarly Bryan and Trent" and some that aren't even dudes like "Clara Cleavage" etc. you could argue some of these dorks aren't really that rad, but whatever , RAD DUDES man. 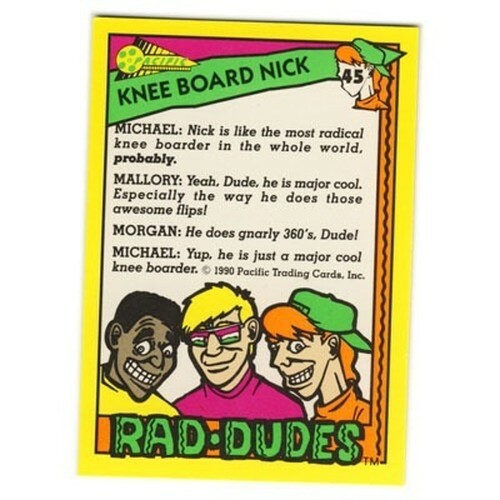 On the reverse some cards are poster cards which when put together will make up a giant rad dude card but the greatest cards have transcribed RAD DUDES conversations relating to the card, like discussing how gnarly Knee Board Nick is, or the arm wrestling trash talk "Dude, you're toast" (except they put "your" instead of "you're") and the reply "O'contrair Wayne, get ready to bite the big one Dude." Please note Dude is spelled with a capital D.
■ There are 4 different pack designs, you will receive 1 pack selected at random.